No pretty Japan pics today as this was mostly a travel day, not a sightseeing day. More tomorrow! In the meantime, I wanted to talk about free books. 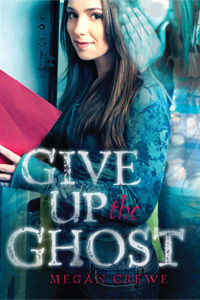 Specifically, ways to win free copies of the Give Up the Ghost paperback! It just came out on Tuesday, and as I mentioned earlier, some awesome bloggers are helping me celebrate. And of course you can still enter my four copy giveaway here at my blog!